Christmas Vibes with Red Cups - CHOMP! SLURRP! BURP! Come December, and my Christmas vibes just turn their volume up. Corny Hallmark Christmas specials, ornaments, warm fuzzies and delish cakes. Oh and a general red and white paintbrush over the town. Another reason I love winters is the innumerable and irresistible coffee options. So, prior to this Christmas – I decided to try the Christmas specials at Starbucks. Every Christmas, Starbucks introduces Holiday special flavors and even though we don’t have Pumpkin spiced latte or eggnog here but we still have some cups from Christmas past. My Christmas bucketlist included trying all three warm cheery drinks that Starbucks had to offer and what’s better than to catch a coffee post work at the Cyberhub outlet? 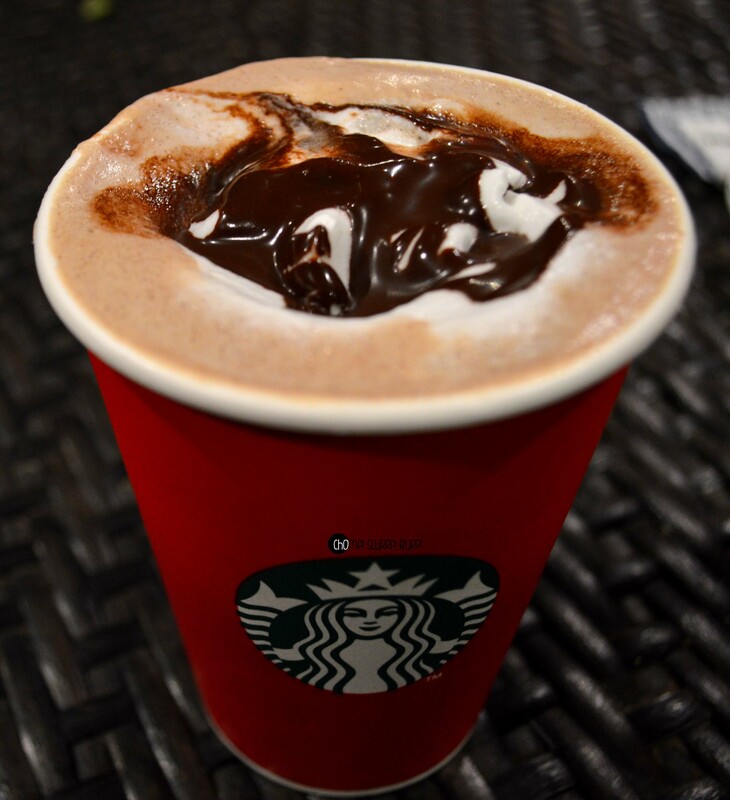 Praline Mocha – Hot skimmed milk topped with whipped cream and chocolate sauce. 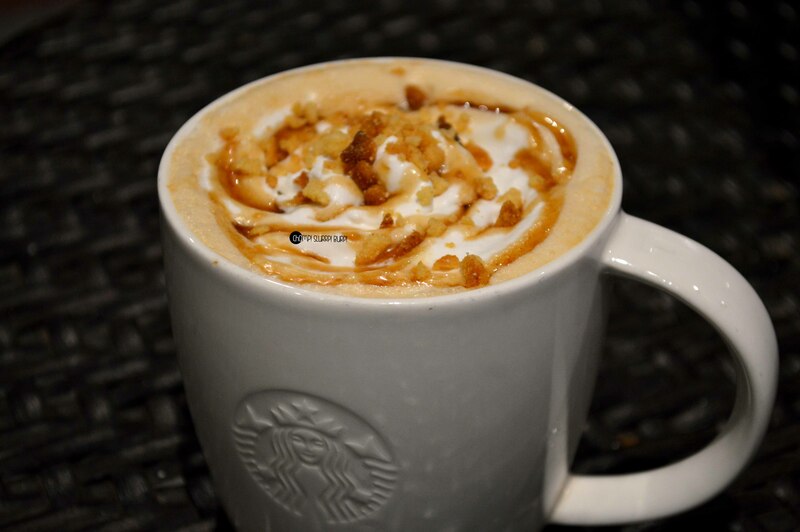 Toffee Nut Latte – Hot latte topped with toffee crunch and syrup. 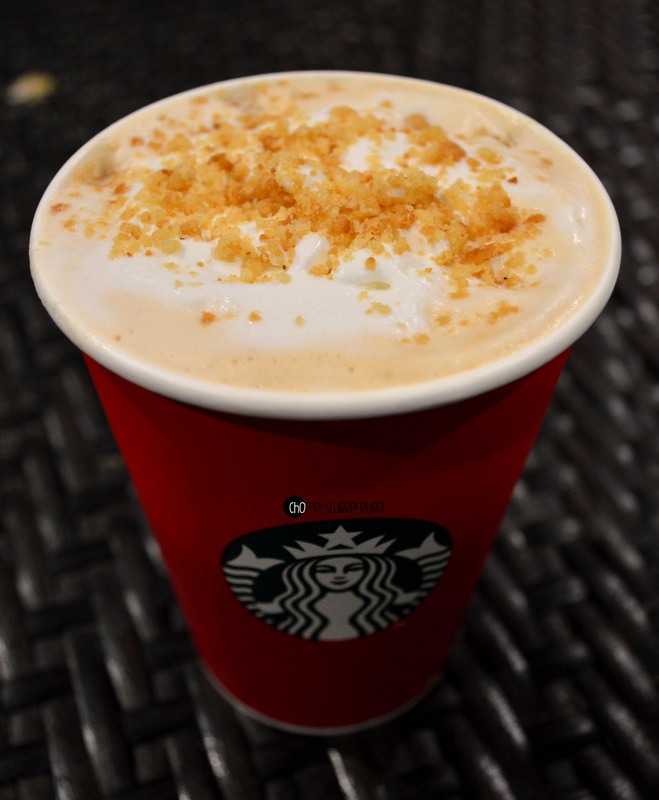 Christmas cookie – the most Christmassy drink that Starbucks India has to offer – a creamy latte topped with shortbread crumbs, cookie crumbles and caramel. The brews are inherently a tad too sweet and low of caffeine content making them not ideal for the average coffee lover. Do try their Christmas cookie latte though to get your Christmas vibe on.